Christmas is coming. How do I know? Not from the Christmas decorations or shops full of Yuletide Cheer, although that’s beginning, a bit. No, here the first sign of the impending end-of-year festivities is the appearance of The Calendar. 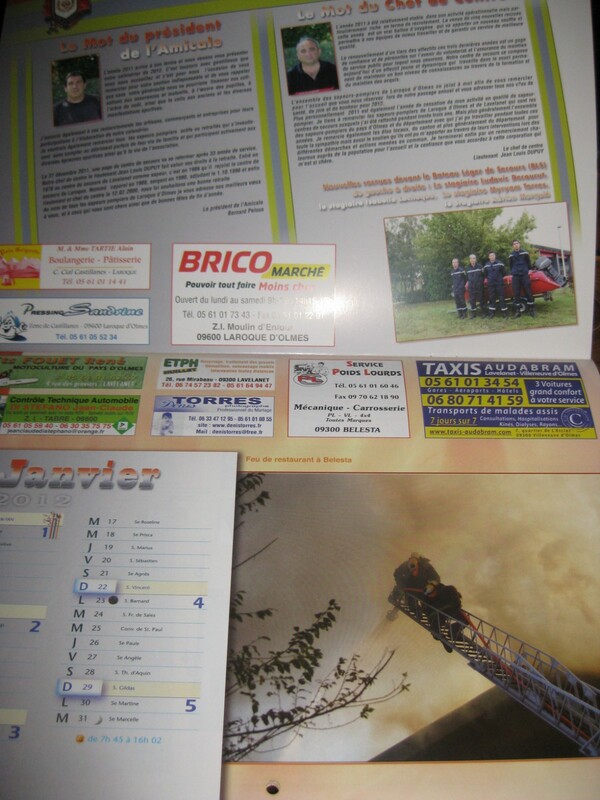 The other day in Laroque you’d have passed two volunteer sapeurs pompiers (Fire and Rescue service) in full uniform, trudging door-to-door with a pile of calendars. They need us all to make a donation in exchange for one. I wouldn’t dare not. They don’t expect very much money: the loose change in your purse is fine. After all the calendars are entirely paid for by the adverts inside and all the rest is profit. But you’ll get a receipt, your first Christmas card, and your first calendar, with each month illustrated by some thrilling event in the life of our local stations. Photos of the local crew too. Though not the sort of hunky photos you sometimes see in England, with Mr. Universe types stripped to the waist the better to display their tanned and rippling muscles. These men and women are all the guys-next-door. Anyway, don’t think that this purchase represents the end of calendar-buying for this year. Any day now it’ll be the Majorettes, and after that….who knows? But there will be others. And we’ll have to buy from all of them. And there was me thinking you wouldn’t have to cough up anything at all, because really, who would trek all the way down to yours on the off chance of a donation? We do car crashes etc. too. And forest fires. And hotel fires. But there’s no room to write in any kind of social life. 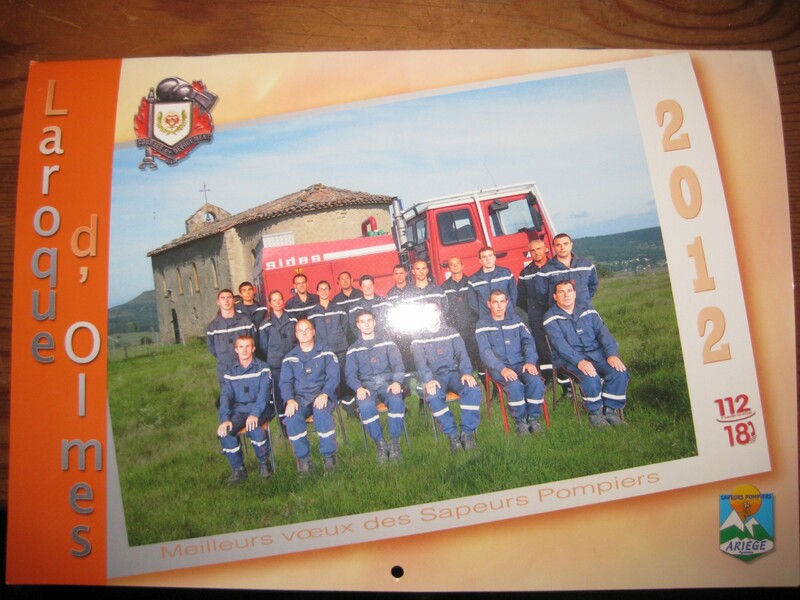 Well, to be fair, tis only the pompiers who come here. La Poste seem to have given up calendars and this year are giving away – yes, free – diaries instead. Erm – what’s a social life?